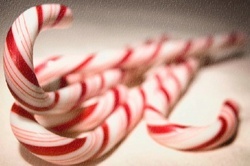 This day last year, quite by accident, I received one of the greatest gifts of my season . After sharing a memory of my own, I invited you to share yours. Before I knew it, stories began pouring in from WDAV’s listeners. It was a joy and a privilege to share them on the air. With your help, I’d like to do it again this Christmas Eve. If you have a Christmas memory to share – joyful, poignant, bright, bittersweet – please do by sending me an email at jefoster@wdav.org or posting on WDAV’s facebook page. We have until 3 p.m., so may the reminiscing begin! Happy St. Patrick’s Day from The Mozart Cafe! 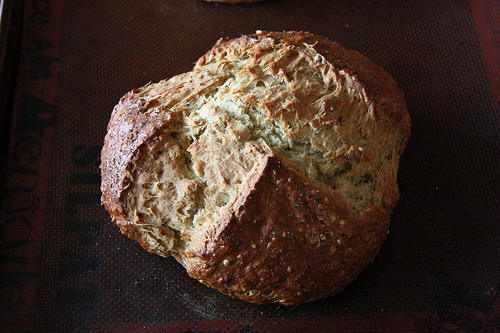 I mentioned a fragrant, magnificent soda bread recipe on the air and a faithful listener called to ask for the details. Here you are…and Happy St. Patrick’s Day! Stir flour, oats, sugar, rosemary, baking powder, baking soda, salt, and 3/4 teaspoon pepper in large bowl to blend. Pour buttermilk and melted browned butter over flour mixture; stir with fork until flour mixture is moistened. Turn dough out onto floured work surface. Knead gently until dough comes together, about 7 turns. Divide in half. Shape each half into ball; flatten each into 6-inch round. Place rounds on ungreased baking sheet, spacing 5 inches apart. Brush tops with beaten egg white. Sprinkle lightly with ground black pepper. Using small sharp knife, cut 1/2-inch-deep X in top of each dough round. Bake breads until deep golden brown and tester inserted into center comes out clean, about 45 minutes. Cool breads on rack at least 30 minutes. Serve warm or at room temperature. You’ll get the most tender soda bread by kneading the dough gently and briefly, just until it comes together, so the gluten is minimally developed. Giuliano Carmignola, the violinist who is buring it up in the Mozart Cafe today, is hailed as a player “who brings back [the] golden age of Italian violin virtuosity with performances as emotionally inspired as they are technically dazzling.” Have a look! On January 12, a 7.0 magnitude earthquake struck Haiti. Beyond a staggering death toll, the quake has left three million people hurt or homeless and in need of assistance. – Donate online: click here. Your donation will appear on your next wireless bill. Google Crisis Response has compiled a list of links to reputable organizations as well as to real time updates, Haitian media outlets and the U.S. State Department for Americans seeking information. Click here for full listings. 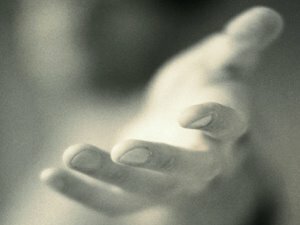 NPR’s article, “Haiti: Some Ways to Help” is here. November 12, 2004 – In 1980, iconic American composer Aaron Copland sat down with the late NPR producer and host Fred Calland for a wide-ranging interview. 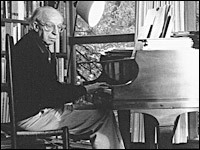 Copland spoke about his music and life, which spanned much of the 20th century. He described the inspirations for his symphonies and other works and spoke of his desire to conduct in addition to composing. Click here to visit this page and chose your preferred way to listen. Three more segments from a 1977 interview with the composer are available through American Public Media’s American Maverick’s project. Click here for their interview listings. You’ll find the interviews with Copland about half-way down the page. Hi. Jennifer Foster here. As much as I’m enjoying telling you my Christmas memories and stories today, I’d especially like to read and/or share on the air any you have to pass along. I’ll be on the air until 5, so use the comment feature and get started right away. 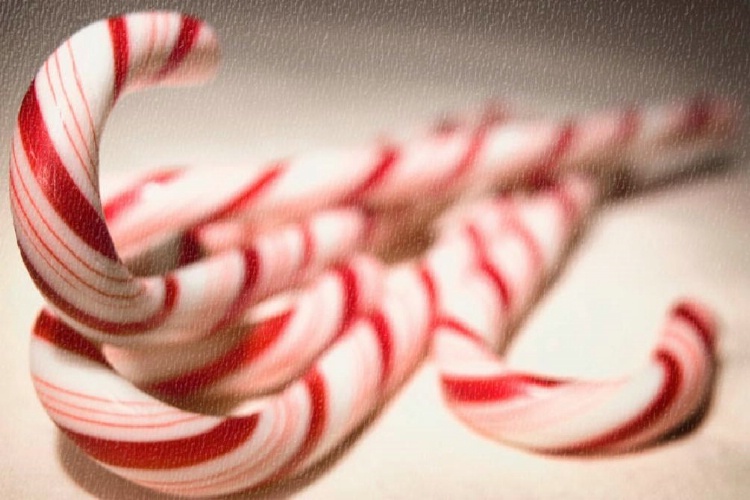 Thank you, and Merry Christmas! 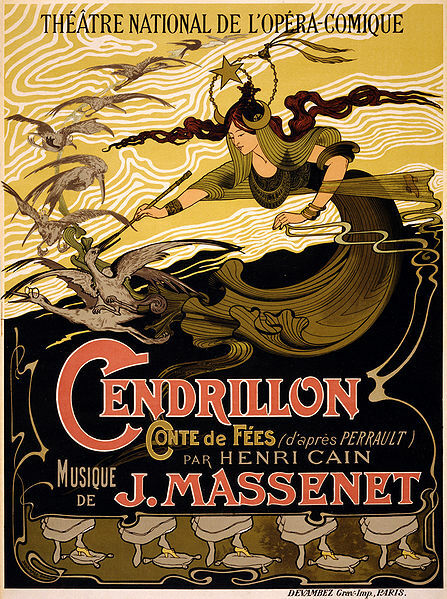 Below is the poster that announced the premiere of Jules Massenet’s opera Cendrillon at the Théâtre National de l’Opéra-Comique, Paris in 1899. The slippers at the bottom of the poster are golden, not glass. I can handle that. What perplexes me, though, is Cinderella’s interaction with cranes in the image. I imagine they are part of the French version of the fairy tale as mice are in the version familiar to the Disneyfied. But what’s she doing with that stick and why is one of the birds wearing pince nez spectacles? I’m digging around to try to learn more, but if you can tell me, please do so by leaving a comment below.